What a great looking nightgown or lounge set! 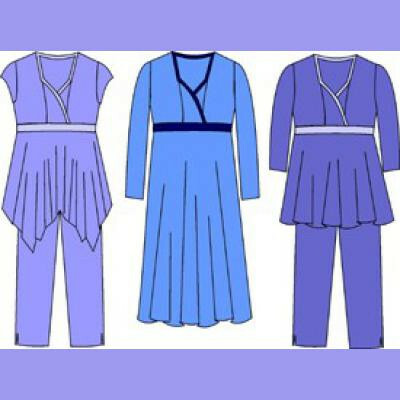 This set has many options - choose from cap sleeves, three-quarter length or full length sleeves. You can make the below the knee version or the short top version with the Capri pants. Sleeves and pants have Mandarin detail on the sides. You can also choose a handkerchief skirt option. Accommodates all sizes of bust depths and eleven frame sizes. It's what you'd expect from Pin-up Girls!